David J. Miller is a multiple genreHarmonicist, Vocalist, Guitarist, Teacher,Promoter, President of Jazz Unlimited MKE, and Owner. Dave Miller teaches beginning to advanced harmonica, beginning voice, and basic blues guitar. David was introduced to the harmonica back in 1972 by his late father at the age of eleven years old. Dave’s dad was his mentor, but his other influences also include: Charlie Musselwhite, James Cotton, Billy Branch, Little Walter, Big Walter Horton, Sonny Boy Williamson, Junior Wells, to name just a few. David Miller has appeared throughout the Midwest. Some of the venues included the Wisconsin State Fair, Summerfest, Sherman Fest, as well as various Chicago clubs. Miller has played with Billy Branch, the legendary Aaron Moore, Willie Kent, Billy Flynn, Aron Burton,and Johnny Rawls. 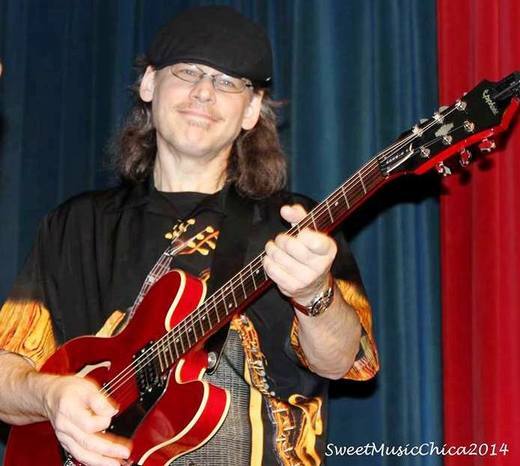 Dave Miller Band provides a vast repertoire from Chuck Berry to Wilson Pickett. The Dave Miller Band provides a high energy eclectic repertoire from Rock to Blues. The members of the band are as follows: David J. Miller (harmonicist, vocalist, & guitarist), Steve Goetsch (lead guitarist and vocalist), Grant Garske (bassist), and Bruce Cole (drummer). The Dave Miller Band is all professional and highly experienced musicians, eager to satisfy the fans all the way to the venue owners. Wherever David performs, he is sure to please his audience with his expertise as a professional musician. David Miller Live Music Booking Agency can fulfill any venue with virtually any genre. Dave Miller also works with the legendary Tom Radai in booking other venues. For inquiries or bookings; Email: David@DavidMiller.us, Call: (414) 375-9895 (Cell Protocol: (414) 375-9895), or Web: http://www.davidmiller.us! See also Promo Pack PDF at http://www.davidmiller.us/promo-pack-pdf.html#.VdJ7rPlViko!